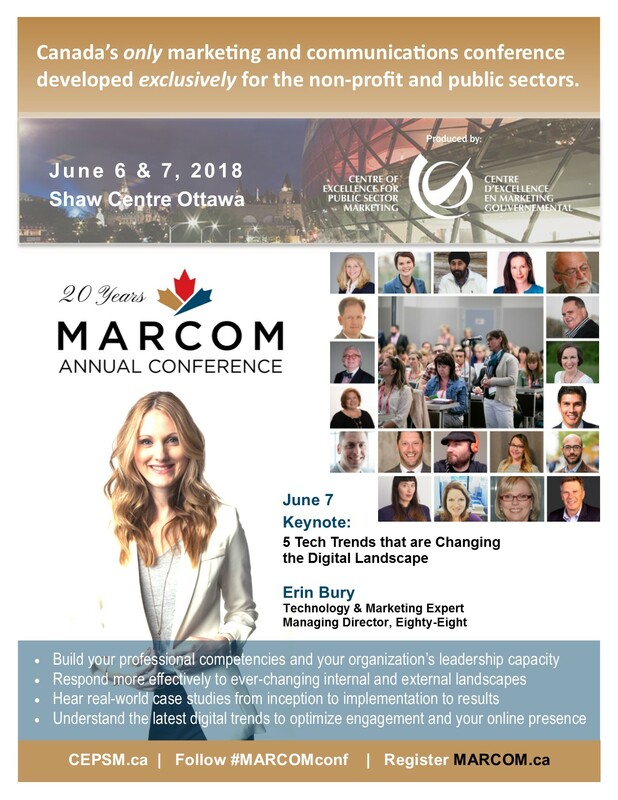 CEPSM’s MARCOM Annual Conference is taking place on June 6-7, 2018, at the Shaw Centre. Our preliminary Program and roster of Speakers will help you to plan your time. Register by April 23rd to enjoy Early Bird Savings. This professional development opportunity is for nonprofit and public sector marketers and communicators. Follow @MARCOMconf and join in the conversation. We have a few 1/2-Day workshops to come and a few Roundtables, so please stay tuned at MARCOM.ca for the latest updates. To receive updates automatically, Sign up to receive our CEPSM E-Updates and update your preferences to include MARCOM. We hope to see you in June with your team!